Police detectives say that the alleged victim of anti-Semitic harassment has retracted vital portions of his story, and that the suspect in the incident has been released without charge. 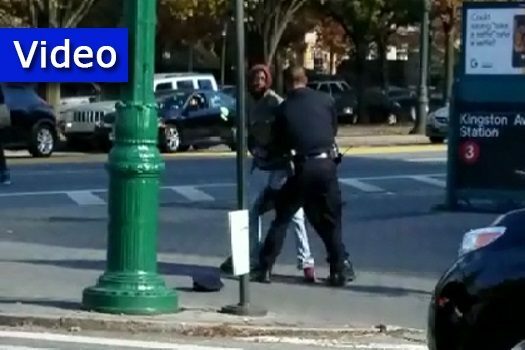 The alleged victim reported the incident to nearby police officers, who reacted quickly and apprehended the man, placing him under arrest despite his fierce resistance. 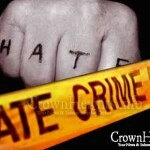 He was later charged with aggravated harassment as a hate crime. Today, the NYPD has informed us that the alleged victim has retracted his story, and certain key parts of victim’s statement did not happen. As such, all charges have been dropped against the suspect, and he has been released from police custody. B”H that the story was retracted, but why would someone report a fake story like this? It’s great the police responded so quickly to the complaint. Why give people a chance to second guess stories like these when people make up parts of the story? The “victim” has undermined our credibility for the future. What a bored low-life this Jew is. Nothing better to do with his pathetic life!? 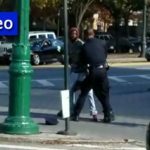 Will he face charges for resisting arrest? That is the problem with all the gevalt shraiers all smoke no fire.This false wolf crying is bad for the community. If the Yid made up this story, this is disgusting beyond belief! First 2 kids lie that they were targets of attempted kidnapping, and now a grown man lies that he was harassed and spat on? Jews are not supposed to lie and make up stories like this! This is very dangerous and when/if we really cry for help no one will believe us. What have the kids who made up that story got to do with us? Did you somehow get the impression they were Jewish? They most certainly were. You may not know the family, but I do. The reports at the time said the father was a NYPD detective. How many people in our community fit that description? Well, there is at least one who does, namely the father of those children. The only relevant part of his story was the spitting. Shouting that Jews should die is not a crime. And deliberately spitting on someone is assault no matter what one is saying. So the only logical explanation is that the suspect denied having spit on purpose, claiming that perhaps some saliva accidentally sprayed while he was shouting, and the accuser couldn’t be sure this wasn’t the case. Either that or he made up the spitting altogether, in which case he should be charged with making a false report. Either way he owes this antisemite an apology. Either way he owes this antisemite an apology. Stop calling every black person an antisemite.just because he is black does not make him an antisemite. there are a couple of blacks that happen to be very good friends of mine.just because he is black does not make him an antisemite.who says the innocent suspect even said or did anything to the yid?& if the innocent suspect was an antisemite before the false report then he is probably an even bigger antisemite now. & in this case the innocent suspect is the victim & the yid is the culprit.the yid that made the false report he should be locked up for doing something like that & the innocent suspect should be compensated for what he had to go through because of this yid.what a chilul hashem this is. You have color on the brain. You are the only person in this thread to even mention the antisemite’s color, which shows that you’re the only one who thinks it relevant. The person is an antisemite; only antisemites think the Jews should die. That can’t be what the person recanted, because it’s not what the antisemite was arrested for, and recanting it wouldn’t change anything. The only relevant part of his accusation, and therefore the only thing he could have recanted, was the mistaken accusation that the person deliberately spat on him. But recanting that doesn’t absolve the person of antisemitism. And yes, he owes this antisemite an apology. How else could it be? Spitting on someone is not assault. Read the penal law. Its not even harassment which would require (push/shove/strike/kick). Assault=Injuries. Harassment=annoyance. Ok if the suspect said or did anything inapropriate to the yid then the suspect is an antisemite & the yid does not owe the suspect an apology in that case.but if the suspect did not even say or do anything to the yid then the yid should be locked up for making a false report & the suspect is not even an antisemite in that case.if i am walking down the street & i see somebody that i don,t like & i decide to make a false report against him simply because i don,t like him my false report against him does not make him an antisemit just because i made a false report against him.stop saying that the person is an antisemite simply because a yid made a false report against him.both of us don,t know weather the suspect even said or did anything inapropriate to the yid.the question is did the suspect even say or do anything inapropriate to the yid?if the suspect did then he is an antisemite & the yid does not owe him an apology in that case.but if the suspect did not even say or do anything inapropriate to the yid then the yid needs to be locked up for making a false report against an innocent person. I should not have mentioned the persons color & i would like to apologize for something like that but the question is weather the suspect even said or did anything inapropriate to the yid or not. Very foolish individual. Lying and fabricating facts that he can’t substantiate puts all the legitimate claims under a microscope. Now all the legitimate claims will have to be examined instead of accepted at face value! R u related to Dr Moshe Todres from Lkwd, he’s a Dentist ? So basically the “so called victim” made up a story just to get this man arrested ? When the article says that a lot of what happened was retracted that means a very big portion of the story was made up, idk if it’s a crime to do that, but just a couple weeks ago there was a story that a bunch of children made up abt a man they said was following them & made sexual advances or was trying to get them to do that & it was found out that this man wasn’t guilty of anything, so this is the 2nd time already that Stupid Moronic things like this has happened, if it keeps on happening the police are just gona stop believing it, how many times can we cry wolf or fire, are ppl not thinking, also if the person who was arrested tries to make up stories abt the person who tried 2 get him in trouble it could also get nasty, as a rule unless someone is verbally making anti semitic comments to u or doing a physical activity like spitting @ u or something, don’t try 2 find things 2 get someone arrested, it could come back to bite u, unless we get more details as to what was made up & what actually happened we don’t know, but what comes out from this story is a lot of the things he said happened to him were made up, to everyone out there Stop Making Up Stories Unless They Really Happened !!! Even if someone is “verbally making anti semitic comments to u”, it’s a free country and he has every right to do that. Spitting at you is also a form of speech, and not a crime. Deliberately spitting on you is a different matter; it’s assault, and you should report it. But only if you can be sure he meant his spit to reach you. You are wrong. We must speak out against this type of lying because it discredits the whole Jewish community. Don’t make false claims and no one will berate you. funny. I knew that it will happen from the beginning, but wonder how most of the commentators immediately believe that jew a bad/guilty. folk m.b you are antisemitic jews? sure arrested told I do not do, I do not tell anything. but as jew whom you believe? Why isn’t he being held for resisting arrest. your comment isn’t so clear especially after “bad/guilty, please explain yourself, & if u could spell out the abbreviation of m.b. ty (thank you) btw how did u from the beginning that it was gona be a made up story, how did u figure it out or come to the conclusion Lechatchila ? do any of you know how to think out of the box and read between the lines? do you just love blaming, pointing fingers and labeling? how do you know that this victim wasn’t threatened in other ways to retract this or else? are we all so narrow minded as the police????? please…use your head to think of many more possibilities before believing every story as you read it. Guy could have refused to press charges WITHOUT retracting. That’s what he should have done if he was scared. There is no excuse to lie, it even to lie by saying that you lied where you didn’t!